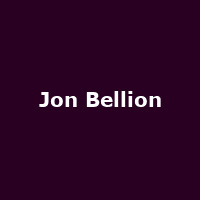 Jon Bellion is an American singer, songwriter, producer and rapper from New York. He has released a number of mixtapes since 2011 and 2013 helped write the chorus to the Eminem song, "The Monster" as well as singing on the 2015 Zedd song, "Beautiful Now". He released his debut album, "The Human Condition" in 2016, followed by 2018's: "Glory Sound Prep".